Third Space studio cafe is the result of random and pleasant coincidences. It is a product of being given the chance to create, being presented with the opportunity to do something very fun, and the will to colaborate with other artists. 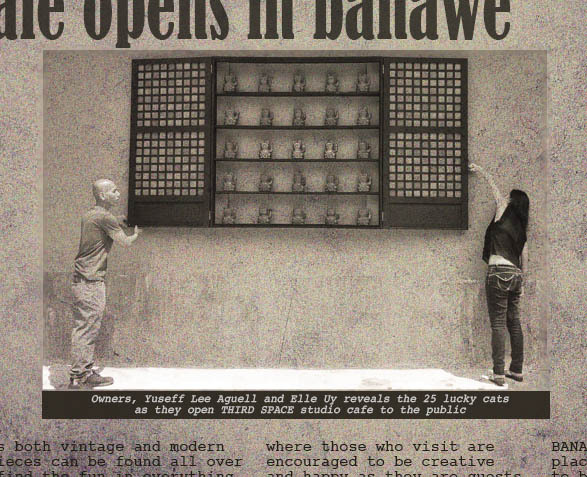 The owners Elle Uy Aguell and Yuseff Lee Aguell have worked played together in numerous collaborations. Being together since 2004 they have already enjoyed doing artworks, clothing, websites, accessories, a furniture store in 2013, their "tiny house" in 2014, their simple wedding in 2015, and on July 22, 2016 they opened Third Space studio cafe. THE STUDIO, THE CAFE, AND THE STATE OF MIND. A small furniture, decor, and arts showroom; That was the original plan. But plans change, or in this case, it evolved. Both growing up in Banawe, the owners knew that it was a food place. And both coming from families that enjoy cooking as much as eating, a chance to execute a concept was taken. The idea of a showroom turned into a studio cafe. A place where other artists (painters, film makers, bloggers, photographers, musicians, ect.) can collaborate with each other, or launch their works. Guests can paint while having a cup of coffee, design their own accessories after a snack, have a meal on tables and sit on chairs that can all be purchased as is, even celebrate a special occasion where almost all the walls become instant photo shoot backdrops. A place that exhibits creations, and inspires creativity, while you eat. 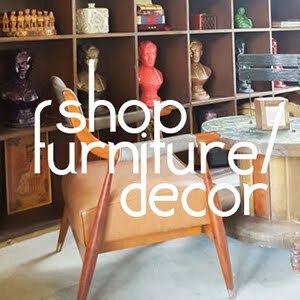 A small furniture, decor, and arts showroom; That was the original plan. Yet it was no longer just a showroom, and it wasn't small. A bigger place than what they had in mind, and a bigger concept than what they had in mind, meant they had to have bigger minds and think big. 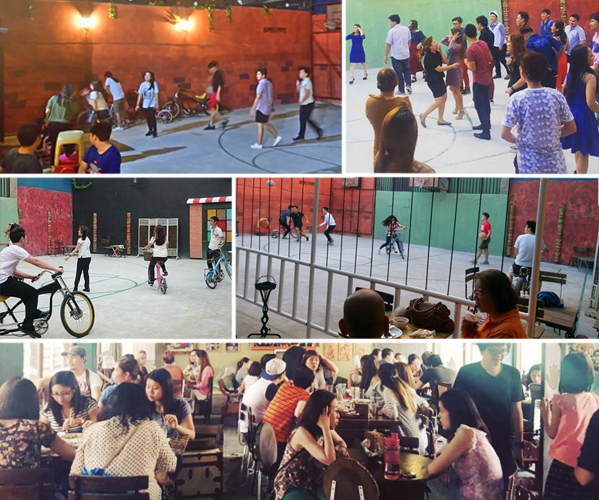 It was gonna be a studio and a cafe, it will have a basketball half-court at the back with other gaming activities, it was going to be an events place. Simultaneous planning had to be done... But first, the name. What name would suit a place like that? It can't be DuoDeco Studio again as it would no longer be just the "duo". It is now a group of people with cooks and crew, wood and metal crafters, together with other artists, designers, and supportive family and friends. What was certain was that it had to be a name that advocates people to have fun, not just while being in the studio cafe, not just while eating, playing, or taking pictures with friends and family. The name had to be a state of mind. 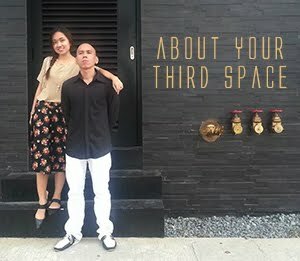 Our Third Space, Is Your Third Space.